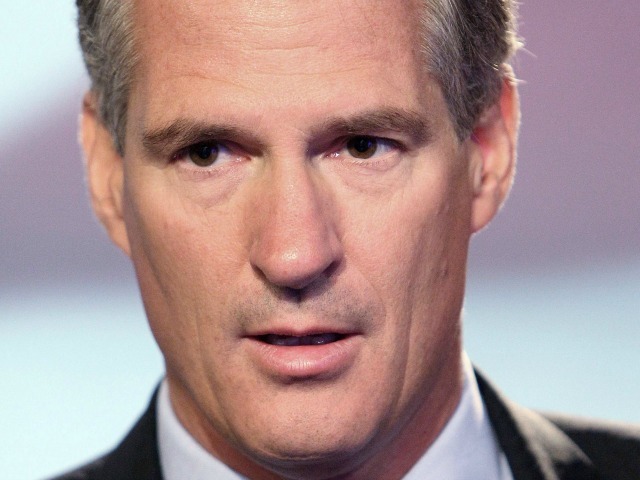 A new ad released by New Hampshire Sen. Jeanne Shaheen’s (D) re-election campaign attacks Republican challenger Scott Brown for supporting a law that “forces” women considering an abortion to view photos of developing unborn babies, reports The Washington Post. “In Massachusetts, Scott Brown pushed for a law to force women considering abortion–forced them–to look at color photographs of developing fetuses,” says the voice-over of Shaheen’s ad. The fact is Scott Brown is pro-choice, and he supports federal funding for Planned Parenthood, both of which he states clearly in his ad (above) in response to Shaheen’s attack. Brown’s campaign has called Shaheen’s ad “a smear campaign” and has called for it to be pulled. Kessler points out that Shaheen’s ad is careful not to actually state that Brown is anti-abortion, but it could leave that impression. He notes that though “Women’s Right to Know” laws have been enacted in 22 states, similar bills in Massachusetts never progressed very far. The laws require women contemplating an abortion to understand what their unborn baby looks like at various stages of development. Pamphlets with photos of babies developing in utero, as well as informed consent forms for a signature, must be presented to the girl or woman prior to the abortion. The law that Brown backed as a member of the Massachusetts House of Representatives, and later as a member of the state Senate, was similar to these types of informed consent laws. “I think it’s insulting to women to force them to go through these steps,” said one Planned Parenthood official, according to the Milford Daily News. On the other hand, Brown claims that the Massachusetts bill he backed was only an “adoption” bill, which really isn’t supported by other reports at the time, states Kessler. Brown, however, the Post‘s analysis ultimately states, should own up to the fact that the bill’s intent was to have women reflect on their unborn child and whether they really wanted to end his or her life.